It's the event you've all been waiting for! George Ezra will be heading to The Wiltern on Sunday 13th May 2018 for a very special show that you'll be glad you didn't miss! This is entertainment at its finest! The English singer-songwriter and musician, George Ezra has been taking over the charts since 2012 as he began writing and releasing records to showcase what he was about. In 2013 came the EP Did You Hear the Rain? And the following year with Cassy O' in March 2014… his biggest single "Budapest" hit the top 10 charts in more than a few countries around the globe! 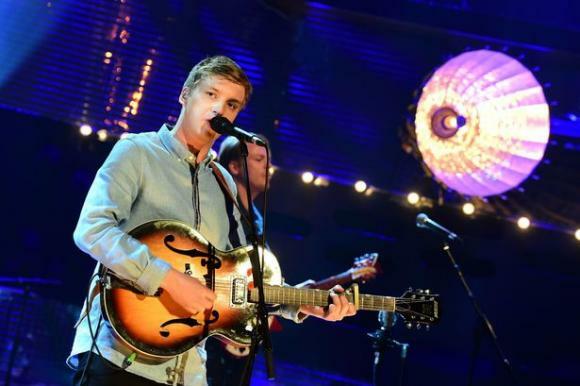 George Ezra smashed the number one spot in Austria, Belgium, New Zealand and the Czech Republic. Before his solo career he was in collaboration with Jordan Grey. Later came his album releases, in 2014 he released Wanted on Voyage his first ever full record and with it came number one status in the UK and within the top 10 again in a whopping seven countries! As well as this, he reached third position of the best selling album of the entire year in the UK. George Ezra's music though popular sounding, his influences come from the greats, everybody's folk favorites Bob Dylan and Woody Guthrie. His dedication to this kind of music has helped to shape his entire career. And so it was no surprise that Gramophone Rings called him "A Voice Beyond His Years" and BBC Radio 1 DJ titled him, "one of the most compelling and powerful new vocalists around. "Out of curiosity, I went to find out who he had been listening to," he says. "That's when I found Lead Belly, Woody Guthrie and Howlin' Wolf." Ezra had heard a Lead Belly compilation and had simply tried to sing like him. "On the back of the record, it said his voice was so big, you had to turn your record player down," Ezra says. "I liked the idea of singing with a big voice, so I tried it, and I could.